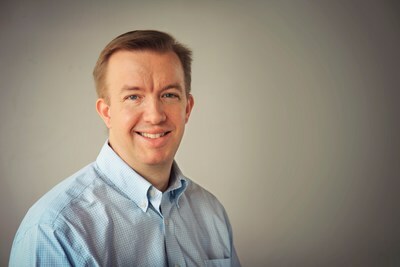 PLAINVIEW, N.Y., March 7, 2019 /PRNewswire/ -- CSC ServiceWorks, Inc. ("CSC"), the industry leader in commercial laundry solutions and air vending services, is pleased to announce the appointment of Alex Hawkinson, founder and former CEO of SmartThings, the largest consumer Internet of Things (IoT) platform in the world, as a member of its Board of Directors. Hawkinson has more than 20 years of experience in technology and development. In 2012, he founded SmartThings, where he grew the company into a global platform, servicing more than 100 million customers with billions of connected devices across the globe. Prior to its acquisition by Samsung in 2014, SmartThings led the industry with its uniquely open platform which attracted tens of thousands of developers and device makers to integrate with the platform, together creating security solutions, energy savings, entertainment and more for customers worldwide. "As we accelerate our movement to implementing connected machines and next-generation customer experiences across our portfolio, there really is no better fit for our board than Alex," said CSC ServiceWorks CEO Mark Hjelle. "Given his incredible track record in the world of technology, Alex's insights will be invaluable as we take strides to bring the best laundry experience to the industry and our customers. We are thrilled to welcome him to our team." Prior to his founding of SmartThings, Hawkinson led and founded a number of technology companies across the United States, including: SMBLive, an online marketing platform with products serving more than 300,000 small businesses in the United States and the United Kingdom; Mural, a multi-national SaaS strategic consulting and support company; Apptix, the largest provider of hosted messaging and collaboration products for small to medium-sized businesses; HostOne, a joint venture between Microsoft and USWeb; and USWeb DC, the leading web consultancy in the Washington, D.C., region. As an active investor in early-stage technology companies and a director on several boards, Hawkinson utilizes his profuse knowledge and vast experience to continuously aid in the further development of the industry. "One of the most fascinating things about IoT is the ability to turn ordinary objects into a smart devices that make your life easier," said Hawkinson. "The laundry sector is prime for disruption and adoption of connected machines. This management team has a tremendous track record, and I am confident CSC will be well-positioned to lead the industry in this movement." Hawkinson holds a Bachelor of Science degree in Cognitive Science from Carnegie Mellon University. CSC ServiceWorks is the leading provider of laundry solutions and air vending services throughout the United States, Canada and Europe. We make life easier, impacting over 40 million residents & consumers, property managers and owners every day. Our history goes back to 1927 and today, includes over 3,000 dedicated professionals and an extensive local network to service our customers. For more information about CSC ServiceWorks, visit www.cscsw.com.